Are you looking for a low maintenance plant for your landscape design? Well, we have one for you! Bromeliads are a great way to add drought tolerant, low maintenance color to your garden. One of the greatest features is that it requires No trimming! These architectural plants come in a number of sizes and colors that can serve as accent plants, ground covers or mass plantings. There are varieties for both sun and shade. You can plant them in the ground, place them in pots, grow them on a wall, put them in hanging planters and attach them to posts! Bromeliads are a wonderful way to add color to an otherwise dull interiorscape. They have bright flowers and gorgeous foliage that will provide a wonderful splash of color for months at a time. And with over 3,100 different species of bromeliads, you are sure to find the perfect color, size, and shape to complement your landscape design. One of the biggest mistakes made with this plant is over-watering, which leads to rotting roots. Because bromeliads are extremely drought tolerant, they require less maintenance than most other indoor plants. 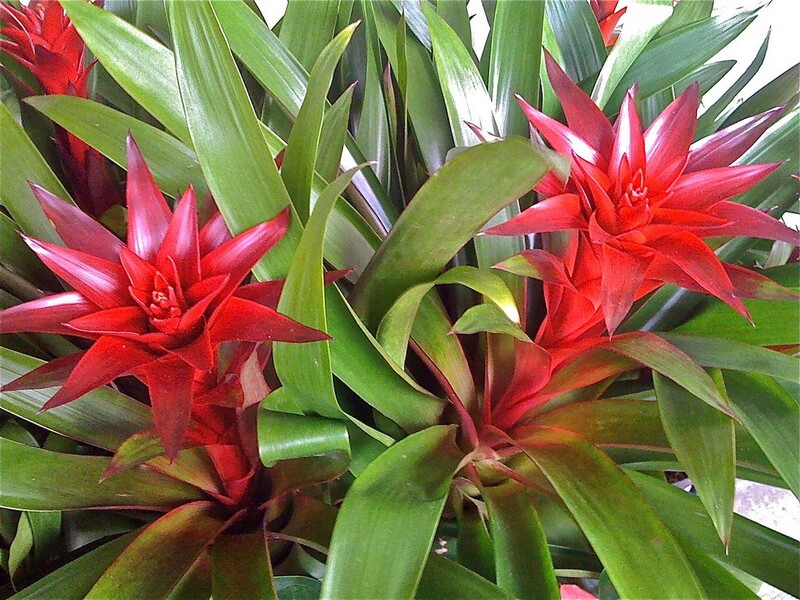 Scientific research shows that bromeliads can improve indoor air quality after business hours. While most common indoor plants purify the air during the day, bromeliads release oxygen and remove air pollutants during the night. The Plants for Clean Air Council suggests that when combined with foliage plants, bromeliads can help provide around-the-clock indoor air purification. While most bromeliads prefer bright, indirect sunlight or fluorescent office lighting, some species can be quite flexible when it comes to lighting conditions. Nidularium, Vrieseas, and Guzmania all evolved under the vast canopies of tropical rain forests and are able to survive in low light conditions. Most varieties must not be exposed to direct sunlight. 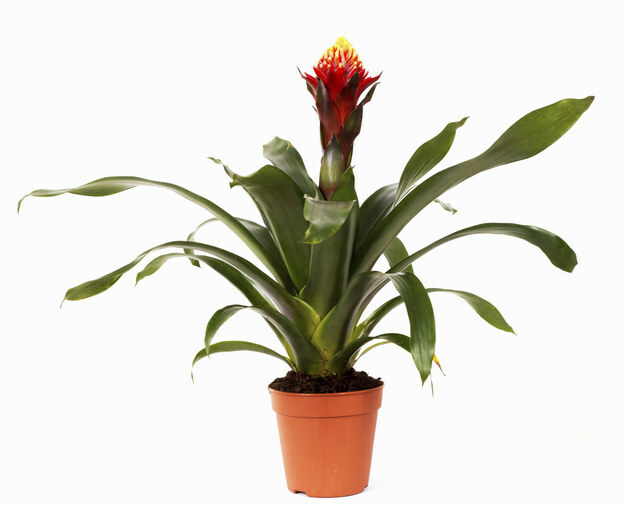 Bromeliads will grow in almost any type of plant container as long as it has good drainage. This can be achieved by placing cross risers in the bottom of the planter to create a basin for excess water to collect. Growing bromeliads in containers not only makes them portable for easy maintenance routines, it also effectively traps disease and prevents it from spreading to the rest of your plant display. Try combining different types and colors of bromeliads into one pot to produce striking arrangements.